This CD came with a pile of other CDs to review, so it took a while before I finally got to it. Frnakly, the cover art didn't look promising. However, never judge a book by it's cover. 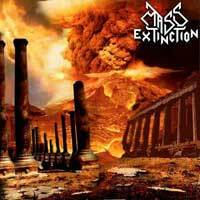 Mass Extinction are pure thrash metal. They don't pretend to be overly technical, nor are they trying to be innovative by mixing style of metal. 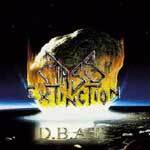 Rather, Mass Extinction wear their influences on their sleeves and are not ashamed to admit it. Drawing influences from the pioneers of the early 80s Exodus, Slayer, Kreator, Destruction, etc. I also hear a heavy dose of early Sepultura.